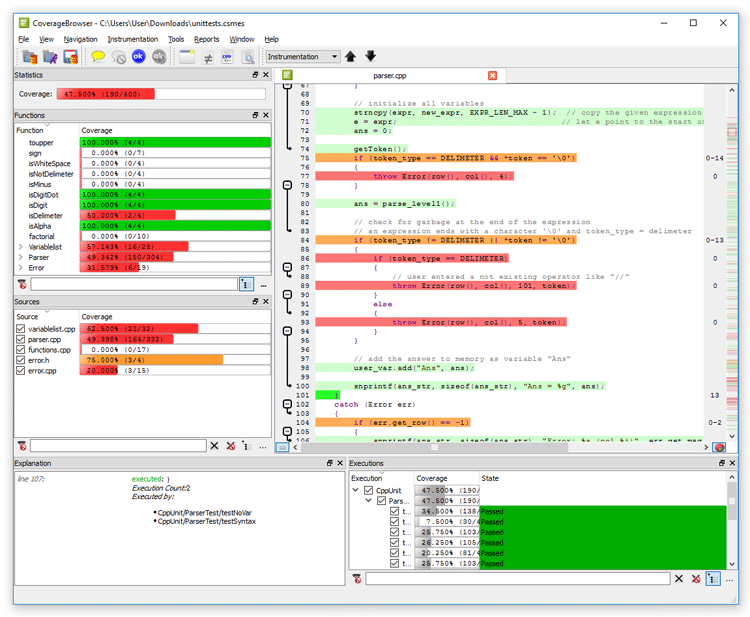 Cross-platform and cross-compiler code coverage analysis for C, C++, C#, SystemC, Tcl and QML code. Coco utilizes source code instrumentation to analyze the applications’ source code. No changes to the source code are necessary. Executing a test suite against an instrumented application produces data that can later be analyzed. This analysis can be used to understand how much of the source code has been hit by tests, which additional tests need to be written, how the code coverage changed over time and more. Get your free and fully functional Coco Code Coverage evaluation copy today.